+Ballpoint Pen. 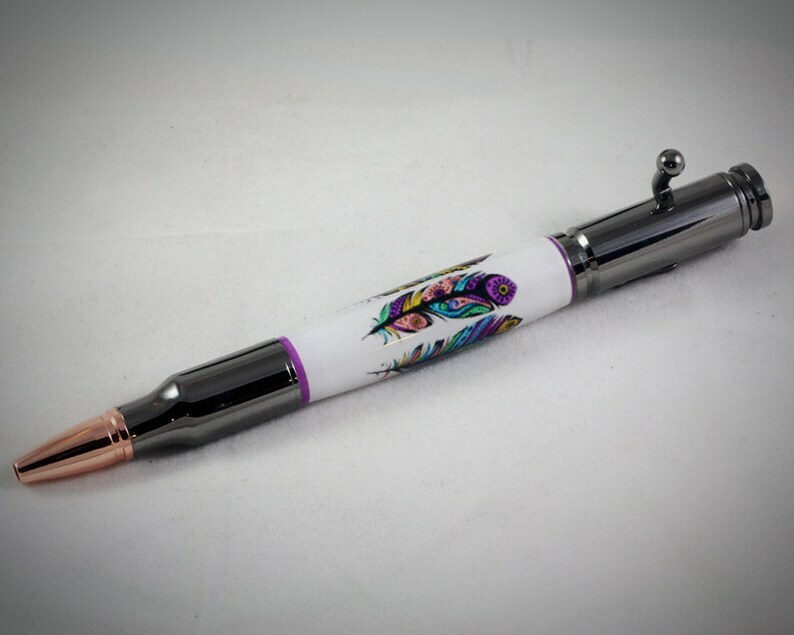 The pen that is pictured is the pen the buyer will receive. +Components plated in durable Gunmetal with a copper plated tip. +This pen accepts a “Parker®” style refill. Length 3.875” (9.84cm) Diameter .22” (5.8mm). Ohio Penworks installs a premium quality Schmidt medium point easyFlow 9000 refill in the buyers choice of black or blue. “Parker ®” style refills are manufactured by numerous companies including Acme, Fisher Space Pen, Parker, Monte Verde, Pelikan, Schmidt & Visconti. They are available wherever office supplies are sold.